Image shown above is Indicative only, actual product may differ from the picture shown. Safety features 1. Front and rear both disc brakes. The best stopping power on the market. 2. The large off-road tires are the deepest tread of Emmo e-bikes, offering an off-road experience that is the best on the market. 3. The ignition key lock. The back of the key locks your ignition panel so only you can access it. Advanced technology 1. LED turn signal. 2 times brighter and 80% less power usage. 2. MP3 Function with bluetooth, FM radio, and optional auxiliary cord input. Powerful system 1. 72V battery and equipped with a powerful 500W motor. 2. Stylish design reflects the powerful off-road capabilities along with under seat storage and optional back rest. *Travel range is based on riding on level ground, no stops, no winds, warm temperatures for a 175lb rider with no extra cargo. The highest cost performance 1. The quality is guaranteed. Every new e-bike has a one-year warranty (battery and charger for six months), and we can repair all EMMO e-bikes problems. 2. More than 100 dealer stores around Canada. 3. The highest customer satisfaction, the best after-sales in the industry. Advanced technology 1. 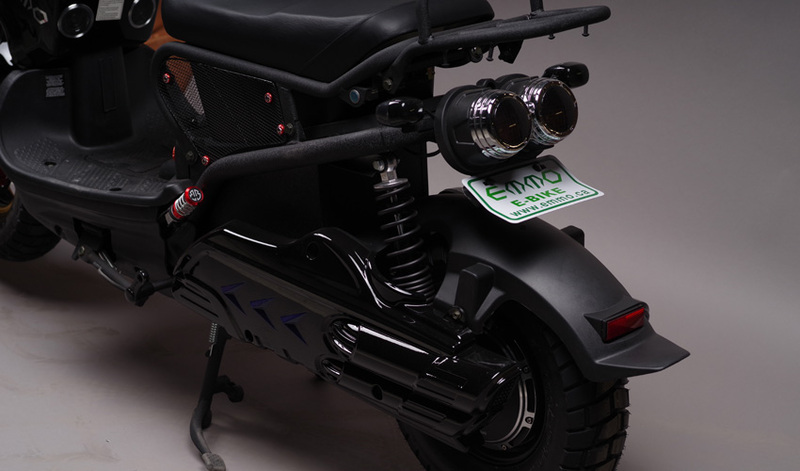 Almost all EMMO e-bikes have keyless start. 2. Perfect alarm system. 3. Almost EMMO e-bikes have a variety of color options. What do I need to operate an ebike? As long as your ebike fits the definition of an ebike as stated above, it is in the same classification as a conventional bicycle. This means that you are allowed to ride your ebike anywhere were a conventional bicycle is allowed, but with limitations. This means that ebikes can be used on: roads, and bike lanes. Bike paths are to be rode only with electric bikes (pedalec class). Passengers are not permitted on a bicycle that has been designed for one person. Some ebikes (generally scooter types) are designed to carry passengers, but you may want to check with your local municipality to clarify whether carrying a passenger is allowed in your area. How fast can it go ? Legal travel top speed is 32km/h. Off-Road top speed can reach up to 65km/h base on the model. How long can the battery last? Up to 500 recharge times for lead acid battery and 1000 recharge times for lithium battery. How long is the warranty and what does the warranty cover? One-year comprehensive warranty for the bike and six months for the charger and battery; Any factory defect will cover parts and labor. Roadside assistance or any shipping related will be an extra cost. Physical damage is not covered. How much weight can the bike carry up to? Which one has the longest travel distance ? Most of our models with 72V/30AH lithium battery package can get up to 90KM/charge base on the weight of the person and the type of the road. Does it require any license or insurance and what does it require to ride one of the E-bike? All operators and passengers must be at least 16 years of age. All operators and passengers must wear an approved bicycle or motorcycle helmets. All electrical terminals must be completely covered. 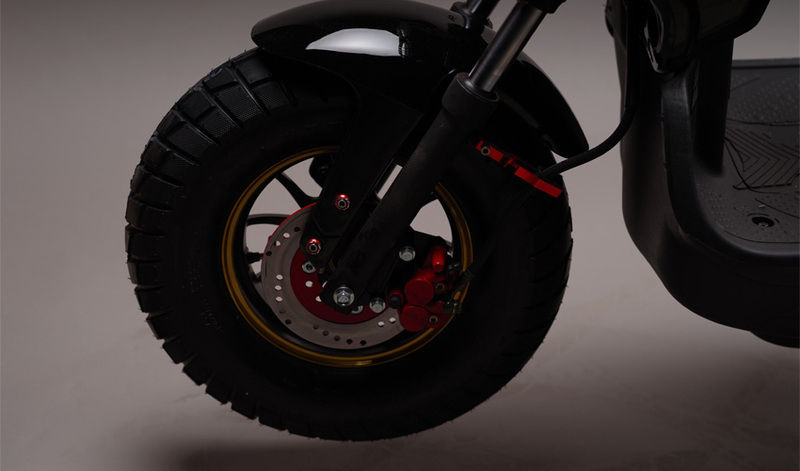 Two independent braking systems consistent with requirements for motorcycles and motor-assisted bicycles (mopeds) that applies force to each wheel and is capable of bringing the e-bike, while being operated at a speed of 30 km/h, to a full stop within 9 metres from the point at which the brakes were applied. The minimum wheel width or diameter cannot be less than 35mm/350mm. 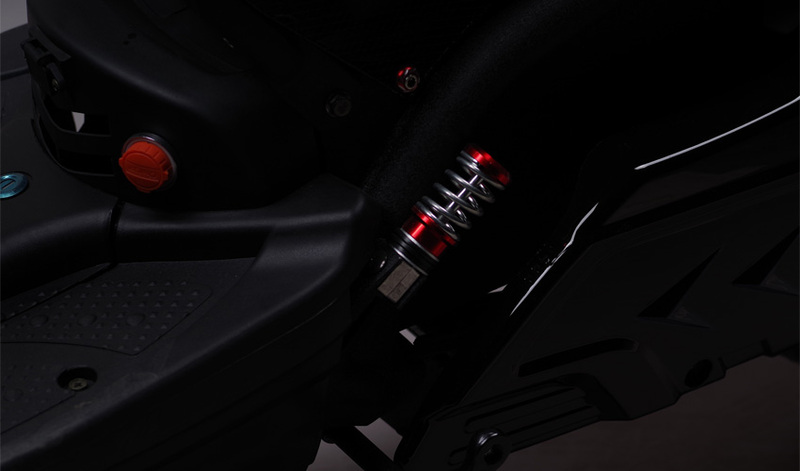 No modifications to the motor to allow it to exceed a power output greater than 500W and a speed greater than 32 km/h. The battery and motor must be securely fastened to the vehicle to prevent them from moving while the e-bike is operating. Does E-bike allowed to ride on sidewalk? No, E-bikes don’t allow to ride on sidewalk. I purchased the Emmo monster a couple of years back and could not be happier with it. Back for some mantainence, techs very helpful. Excellent service and great staff. They are very knowledgeable and offer good products and parts. Good bikes, good service fair prices. I recommend this place to new costumers and I'll continue being a client for new bikes, repairs and accessories. I bought a Monster bike and I'm really happy with it. The service here is pretty nice and the staff is patient to teach you about their bikes. Bought the Emmo Monster in Blue, the best mode of transportation I have ever had, for a reasonable price! Great prices, knowledgeable staff, parking which is great for Toronto. I purchased my Monster, and it almost change my life. Highly recommended. I am extremely impressed with the customer service and experiences I've had from the EMMO e-bike store. When I wanted to purchase a new e-bike for my brother, I emailed the store asking what would be the best type and size of bike. I received a very informative and detailed response from Jason which made it easy for me to decide on and purchase a perfectly suited bike for my brother. He is very happy with his new Monster! Because of the good experience I had with the EMMO store, I decided to bring in my other brand e-bike which I was having trouble with its brakes. I had purchased it earlier this year, but even though I was very happy with the bike otherwise, the disc brakes were very "soft" right from day one. I did not have very much braking power at all. I had taken my bike back to the store which I purchased the e-bike, but they were unable/unsure how to fix the issue, and after doing some adjusting I got the bike back in more or less the same condition. After having an accident on the bike due to not being able to stop properly, I decided to take my bike into the EMMO store to see if they could to do a better job of "fixing" the brakes. I emailed my issue to Jason from the EMMO store and he suggested that I bring in my bike for them to test and evaluate. When I did Jason and his mechanic were able to instantly tell that the brakes were not setup/adjusted properly and immediately adjusted and tested the bike while I was in the store. I thought I would have to leave my bike with them to work on, but was pleasantly surprised when they worked on the bike immediately and after around 20 minutes had fixed and tested the bike all without any charge. My brakes feel great now, apparently they were not adjusted properly when I originally bought the bike from the other store. EMMO staff were extremely helpful and very pleasant to work with, you can tell that EMMO staff love e-bikes and know what it's like to be an electricity cyclist. I've had such great experiences with EMMO store that I will now bring my bike here for checkups instead of the other store. Amazing customer service! The guys here really love what they do, passionate about helping you find the perfect e-bike and have a great experience. Wide variety of e-bikes and accessories. Fun community to visit as well. Lastly, I purchase the EMMO Monster, and it is a perfect bike. Great place...... very helpful staff!! I love my monster very much!! If you are located in Toronto, we have a showroom located at Unit 2 - 438 Spadina Ave, Toronto ON. At the Toronto location, with a piece of photo ID (ie. Drivers license, health card, passport) you can test drive our models. In Mississauga, we have our warehouse location at Unit 6 - 1224 Dundas St. E. Mississauga, ON. You can find all our dealers at Here. Input your city or postal code and click Search. The map will show dealers that are closest to you. At our Toronto stores we accept many payment methods: Cash, Debit card, Credit card, Email transfer and Financing. For more payment options or details please contact your local dealer. Financing is supported in our Toronto Store. For financing, a piece of Canadian ID such as a Canadian passport, drivers license, or health card is required. You would need to fill out an application form using an in-store computer. The application will take around 15 minutes and will automatically let you know if you are approved based on your credit rating. Once approved it will ask you to link a bank account to the application. 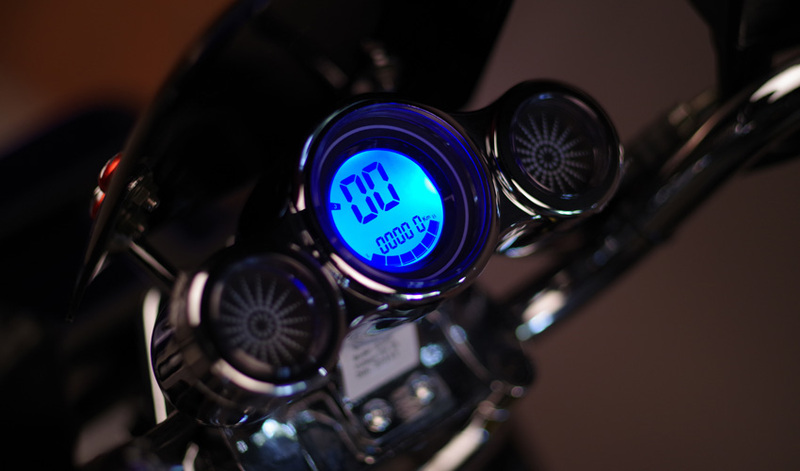 After the application is complete, you will need to wait a processing time of a few business days before you can take the bike. (Estimates based on 3rd party processing time). You can pick up e-bikes at your local dealer or arrange for the e-bike to be delivered to you (additional charges may apply). Please note that e-bikes vary in size and weight. We recommend for larger bikes such as the Zone, Knight, Proton GTS to use a truck. For medium to small e-bikes such as E-wild Mini, F6, or F7, we recommend a van or a car. Minor scratches, stress marks, or rubbing marks are not covered. We will replace parts that in our opinion have arrived with substantial damage. Labour and parts are free of charge when the part is under warranty. If the warranty has expired, your local EMMO dealer labour hourly rate and parts will be applied. For our parts pricing, please check your local EMMO dealer. We charge a minimum of $50 for roadside assistance less than 25 kilometeres from your closest Emmo dealer, and $2 per kilometre will be charged after 25 kilometres. If the e-bike is ano longer under warranty, extra labour or part will be charged. 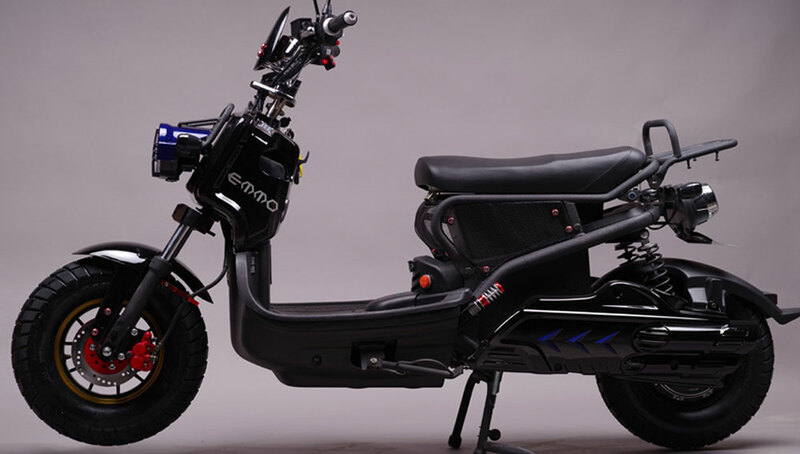 We offer a One-Year Repair or Replacement to the original owner on the frame, swing arm, motor and controller against manufacturer’s defect in workmanship and materials on all Emmo e-bikes and mobility scooters. The Manufacturer’s Comprehensive Warranty does not cover parts that include, but are not limited to, seats, plastic housings and shrouds, pitting, scratches and chips, brake pads, tires, tubes or damage due to lack of maintenance, accident, misuse or abuse. Damage incurred from floods, road salt and other foreign debris or chemicals are not covered by this comprehensive warranty. This Pre-Delivery Inspection (PDI) offers a six-month warranty on original batteries and chargers, provided that they’ve been maintained as the e-bike or mobility scooter’s handbook instructed, and were not subjected to freezing temperatures. Your warranty is covered by the PDI. If you do not purchase the PDI, there is no Comprehensive Warranty Coverage—however, a 7-day Parts Warranty will be included. Please allow for a minimum of 24 hours for the PDI, so that test and trial runs can be conducted on the products to ensure all systems are safe and operable. We also ask that you allow at least 24 hours for warranty and estimate examination, and at least 5 business days for repair. Before receiving delivery of your new Emmo product, you have inspected all surfaces for any defects or damages and agree that everything is in good working order. Drivers should read and follow rules that are issued by Ministry of Transportation regarding electric bike usage. We accept returns or exchanges within 7 days, in new and un-used condition only. Customer is responsible for all shipping fees that may apply. The cost of the item minus the restocking fee is refunded once the product has been returned and is determined to be in new and unused condition. If the product has been used or damaged while in the possession of the customer, the product cannot be exchanged or returned for the future credit, unless authorized by Emmo Inc. or the Emmo dealer at a depreciated value. Re-stocking fee is 15% of the original price, not including taxes, freight or PDI. © 2019 EMMO Ebikes Canada, Toronto, Canada | All rights reserved.